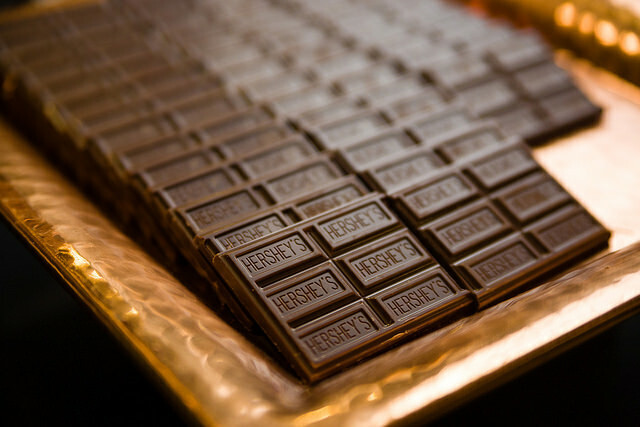 Celebrate National S'mores Day with a S'mores Bar! 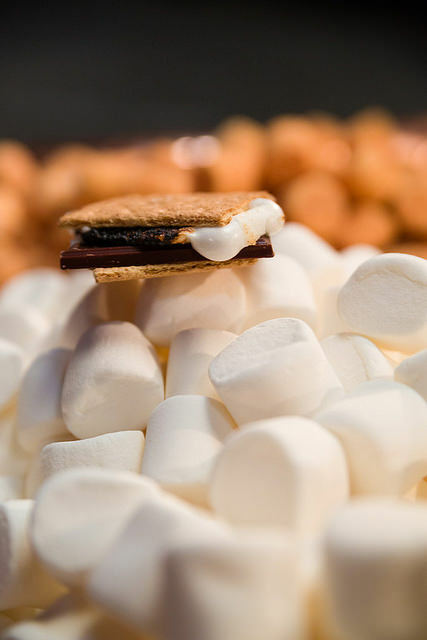 Celebrate National S’mores Day with a S’mores Bar! 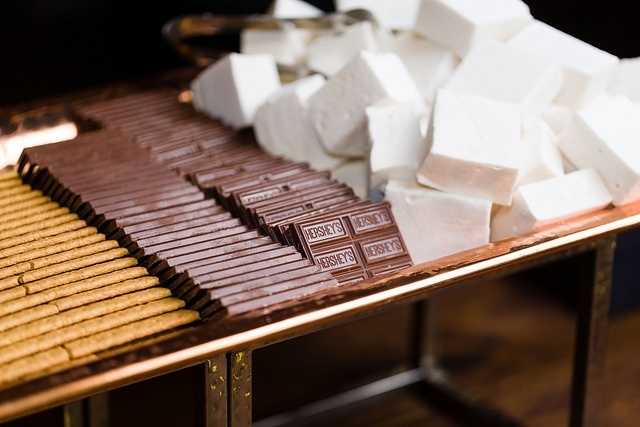 Home > Featured Events > Celebrate National S’mores Day with a S’mores Bar! 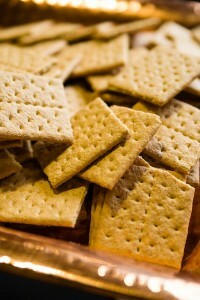 It’s National S’Mores Day! Our mouths are watering thinking of this classic, sticky, chocolatey dessert. 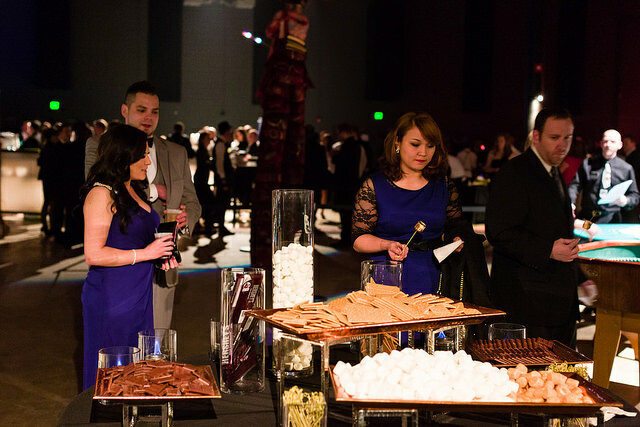 Today, we are having a flashback to this awesome event titled “Fire + Ice” that featured an interactive and guest-approved S’mores Bar Action Station. 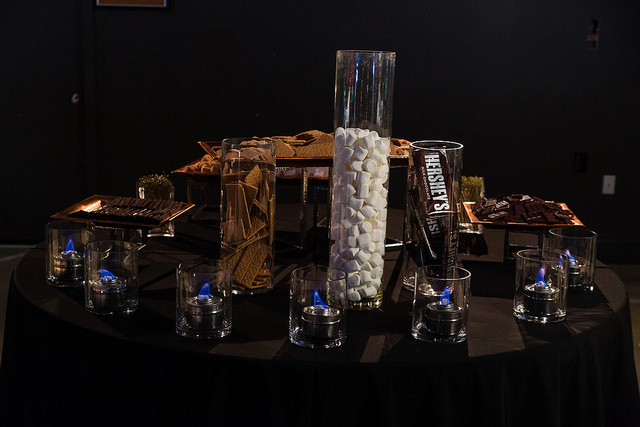 Our S’mores Bar action station features a thoughtfully planned out table complete with marshmallows, graham crackers and plenty of chocolate as well as eco-friendly mini skewers. 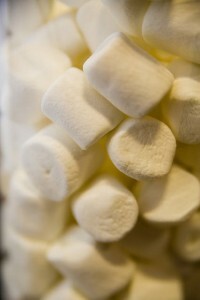 Guests then get the fun of roasting their own marshmallows with the skewers over protected chaffer burners. 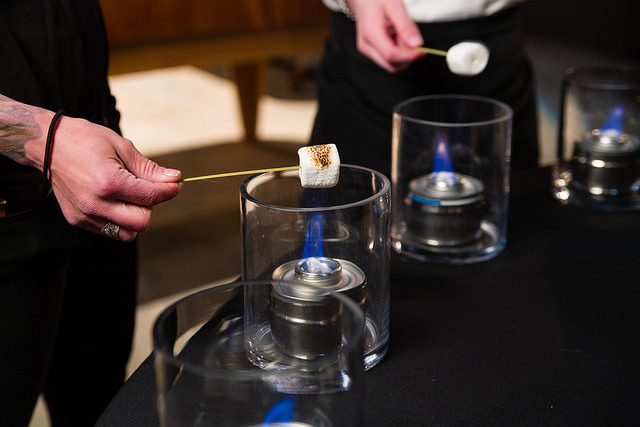 Once the marshmallow is toasted to your guest’s liking, they assemble and devour their treat – don’t worry, we provide plenty of napkins in case of any sticky situations. 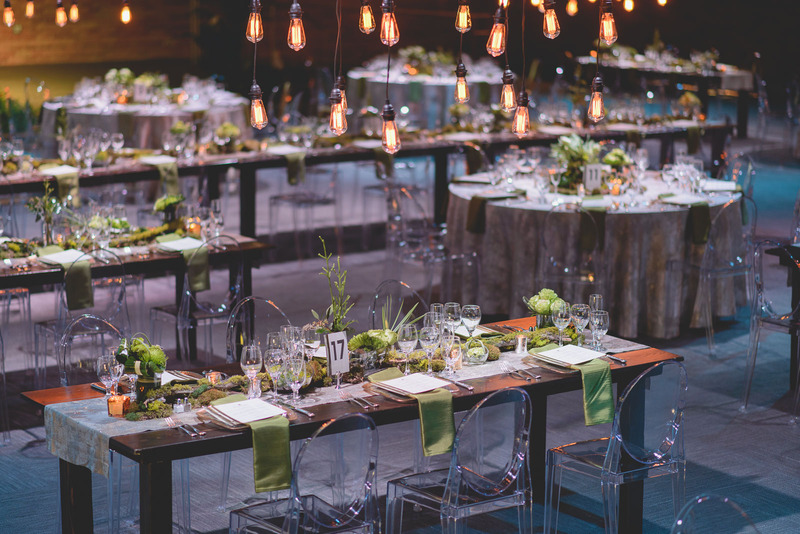 This is a tasty and fun way to have your guests engage with your event – you’re sure to be hearing how much fun your guests had! 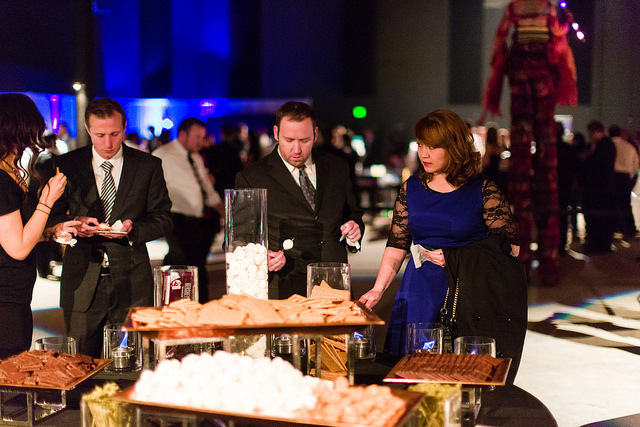 To reserve the S’mores Bar for your next event, get in touch with one of our event coordinators. In the mean time, don’t stuff yourself with too much gooey goodness!